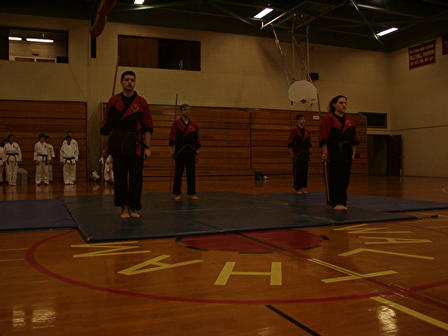 This is the official Shorin-Ryu Karate Academy Demo Team website!!! All info on us and upcomming events are in here. There are a lot of things going on in the next few months. We are preparing our demo for the youth karate camp and working on ideas for our next one. If you have any comments or questions please feel free to ask. We just wanted to thank everyone who has had faith in us over the months. We really appreciate it!!!!!!!! We are always looking for ideas for demos. If you have any please go to the contact us page for more information on how to get in touch with us. Sorry this site hasn't been updated in a while. Its been very busy lately. This is the DEMO Team!! !